Media Monitoring Africa has described the SABC's decision as censorship. FILE: Protesters set fire to bins, tyres and debris, barricading Khoza and Maunde Streets in Atteridgeville. Picture: Thomas Holder/EWN. 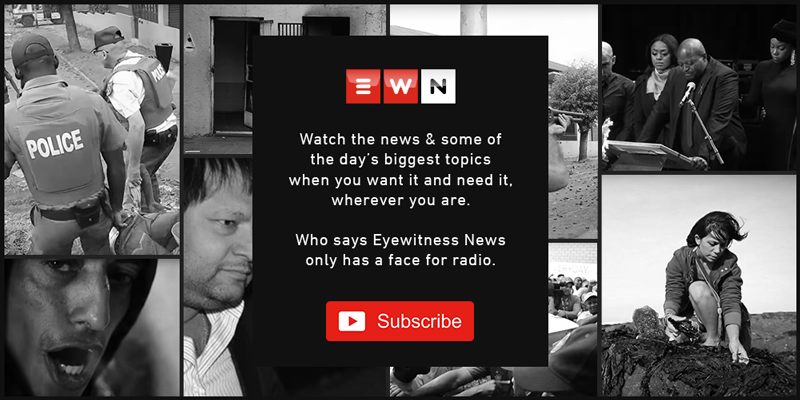 JOHANNESBURG - Media Monitoring Africa says it believes the lack of coverage of today's protests by the South African Broadcasting Corporation (SABC) is deliberate. It says the corporation hasn't broadcast images of the violent protests in a way that could give the viewer any understanding of what is actually happening on the ground. Tshwane residents are protesting against the ANC's decision to select Thoko Didiza as Tshwane's mayoral candidate. SABC COO Hlaudi Motsoneng has introduced a policy where the public broadcaster doesn't show images of violent protests, claiming that they will inspire more violent. Media Monitoring Africa Director William Bird says, "It wasn't as though this just sprung up out of the blue. If every other media house in the country was there and reporting on it, then on how earth did they manage to miss it? If it was a sheer lack of initiative, then that would be even greater cause for alarm but I don't buy it." Meanwhile, the SABC confirmed yesterday that the Independent Communications Authority of South Africa (Icasa) gave it until Wednesday to submit its reasons behind the recent decision not to broadcast images of state property being destroyed during protests. Lobby group, Media Monitoring Africa, laid a formal complaint with the watchdog, saying the SABC's decision amounts to censorship and must be reviewed. The SABC's Kaizer Kganyago said they need more time to make submissions outlining their reasons for not showing destruction during protests. #Tshwaneunrest A bread delivery van has been set alight and its load looted. "When the ruling was made on Wednesday, the following day was a holiday. Therefore we did not have enough time to put the documents they need together." Kganyago said the SABC's recent decision is not censorship, but rather responsible reporting. "We will cover these protests, but where people deliberately burn properties to try and make a point, we are not going to show those images."